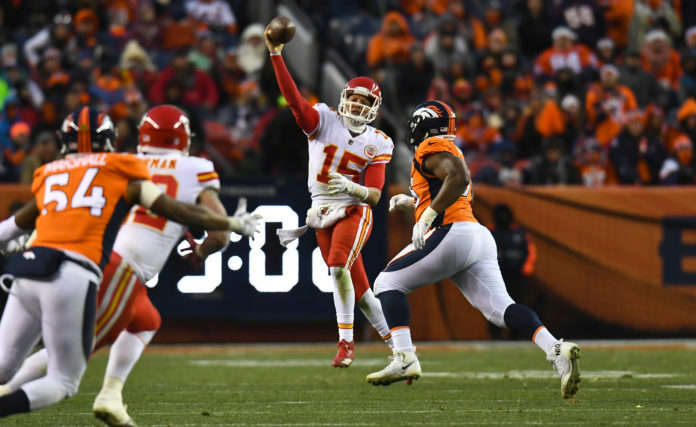 The Denver Broncos will have a drag out battle in the AFC West with a lot of newcomers to the division fight in 2018. Oakland, Kansas City and Los Angeles all reloaded with quality talent at offense. Jordy Nelson, Doug Martin and Martavis Bryant all look to make impacts for the Raiders this year, while Kansas City reloaded on defense with Kendall Fuller and of course, what could be considered a new weapon in first-year starter Patrick Mahomes. The Broncos certainly reloaded themselves, but how will it stack up against the best in the west? Broncos Blitz podcast host Ronnie Kohrt discusses the additions and changes that will define the division. Kohrt also discusses the players to watch, rookies who will make an impact and defensive stars in the division as training camp approaches. You can follow Ronnie Kohrt on Twitter for more news regarding the Broncos by clicking here and catch up on latest conversations about the Broncos, including what he had to say about the Chargers new rookie and how their secondary stacks up against the Broncos, or listen to the podcast below.